Jeff Alworth at Beervana wonders if hazy IPAs are due for a fall. I agree with the plurality of people who answered the poll, hazy IPAs will continue to be popular but the current peak will fade a bit. I think many of the breweries who only make these beers to satisfy demand (and many who do a poor job making them), will move on to the next craze while the breweries who make exceptional versions will continue to find success with the style. The Bangor Daily News has a feature on why Bissell Brothers, the super-popular Portland brewery, decided to build their second brewery in the small town of Milo, Maine. This is a great move by the owners, a destination brewery like this can be an economic boon to a small town, bringing in visitors who come for the beer but also stay for a meal or visit other shops and businesses. I read The Ringer almost every day mostly for articles about sports, it is nice to see a beer article that I can use for Hoppy Boston. They have an interesting take on the history and uncertain future of beers brewed with CBD compounds from cannabis. Kate Bernot covers the 5 rules that bars should follow when they make their beer menu. I agree with all 5, but I would add an addendum to the last point, bars should make an effort to stock some high quality local options. When I travel I want some local flavor, it’s frustrating to find that a bar has a solid beer list but it’s all national/regional craft and nothing specific to the city. I wish more brewers would write blogs about the process of creating new beers, the ideas behind the recipe and the tweaks made to perfect it. Chris Lohring’s blog on the Notch Brewing website is always informative and entertaining. His recent entry covers the thought process behind Dog and Pony Show, a sessionable take on the NEIPA style. Hop Culture is gearing up for tickets to go on sale for their Boston based Spooky Brews Halloween themed beer fest, so they have a series of articles on Boston beer including the best bottle shops, best beer bars and best breweries. Local homebrewer and blogger Jason Chalifour discusses some of the hidden advantages to bottled beer, now that almost every brewery has moved to cans. A new IPA substyle, the extra-dry Brut IPA, is getting some buzz. I haven’t seen any local examples, but I am looking forward to trying some when they come out. I’ve raved about the comprehensive blind tasting series run my Paste magazine, and their recent rundown of 324 IPAs is a tour-de-force. A number of local beers rate high, including some that fall outside of the wait-in-line hype beers. Someone brought up the fact that many NEIPAs scored high, and author Jim Vorel admitted that preferences change with time and many people on the tasting panel love the haze. Paste also did a blind tasting of kolsch this month. Hop Culture has also jumped into the blind tasting game, doing a pilsner tasting. As soon as craft brewers starting making light lagers I was looking forward to the inevitable tastings comparing them to big beer macro lagers. Trademark Your Beer has the first extensive blind tasting of this kind, good to see that most of the micros cleaned up. Boston Magazine has a first look at Democracy Brewing, which opened this month in Downtown Crossing. Harpoon is collaborating with Dunkin Donuts on a coffee porter. This seems like such a logical combination, I can’t believe it took them so long to do this. 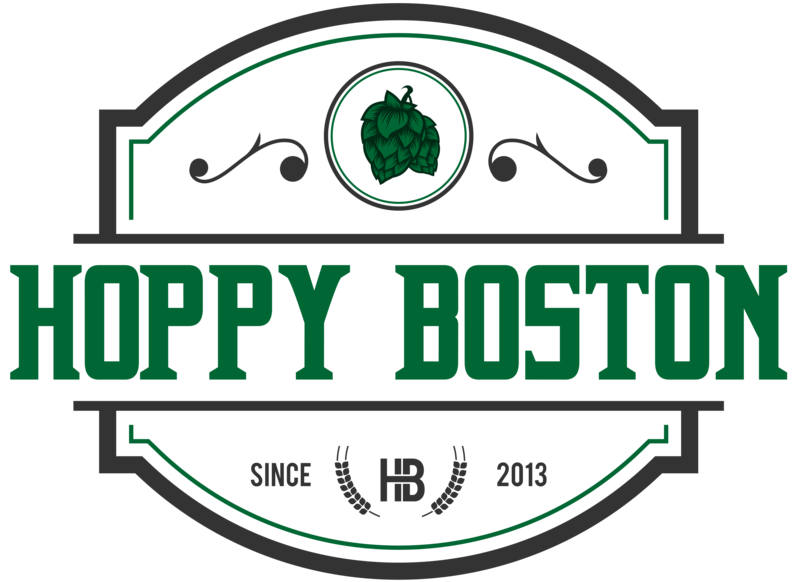 Long standing brew-on-premise Barleycorns in Natick is adding a taproom. Homebrewing is definitely more fun when you can sip a beer while you brew, so I bet this will be good for business. Night Shift has joined the beer garden game, opening two new seasonal beer gardens along the Charles River. Pretty hard to beat those locations on a nice day. A number of new breweries are opening in Freeport, Maine, combining with existing breweries Maine Beer Company and Gritty’s to make the town a craft beer destination. I stop regularly in Freeport on my trips up north, so I am looking forward to check out these new locations. Speaking of Gritty’s, they are celebrating 30 years this summer. Gritty’s gets overlooked with all of the amazing breweries in Maine but they still make a range of quality beers and I’ve always enjoyed the food at their pubs. The US Beer Open announced their medal winners, including a few local selections. Local beer writer Edson Gebo (of the GotHops blog) is riding the Pan Mass Challenge to raise money for cancer research. He has collaborated with Altruist Brewing on a special beer, if you buy it on Saturday all proceeds will benefit his ride. Lax and Lagers, the Boston Cannons annual craft beer event during a lacrosse match, is also this coming Saturday. Traveling to Boston and want to check out a bunch of local breweries? The Holiday Inn in Somerville is offering a special package for craft beer travelers, you can find it here.